Back-translation is the process of verifying a translation by translating it back to the original language through a different translator. This process can reveal errors in meaning or nuance that result from local idiom or the selection of an incorrect synonym. Back-translation is mainly used in translation projects for marketing distribution where it is important for the message to not be lost in the new language. Lost In Translation is a subtle 2003 comedy about love and dissatisfaction that starred Bill Murray and Scarlett Johansson. 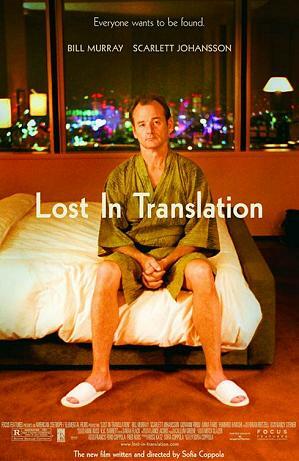 It was a funny movie, but when something is lost in translation in the real world, it is anything but funny. It can translate to lost opportunities and lost income. Most business executives have heard the story of the marketing faux pas when the Pepsi slogan “Come alive! You’re in the Pepsi generation” was translated into Chinese. Supposedly, overseas product sales plummeted when the translation was interpreted as “Pepsi brings your ancestors back from the dead.” It’s a cautionary tale that has been repeated in numerous business publications and news stories. It’s also most likely not true. No news stories of the alleged debacle aired during the time when it supposedly occurred. The publications that use the example often misquote the Pepsi slogan that was popular at the time. The specific dialect of Chinese that supposedly led to this terrible mistranslation is never referenced, and sometimes the stories cite countries other than China where this miscommunication supposedly occurred. Looking back into the marketing record, no tremendous drop in overseas sales for Pepsi appears to have occurred that would coincide with this story. True or not, however, it is the perfect illustration of why accurate and correctly nuanced translations are so important. Back-translation is the process of verifying a translation by translating it back to the original language through a different translator. It is done precisely to eliminate the risk of losing the meaning of the intended message in translation. Local idioms can cause a lot of headaches. In America, the word “scheme” has a negative connotation. It is a plan to conduct some sort of illegal activity. In British English, however, scheme is often used interchangeably with the word plan. Nothing illegal is implied. As another example, American vacationers sometimes buy fanny packs to carry personal belongings. In Australia or Great Britain, a fanny pack could be taken as a vulgar slang term for a much more personal item. The possibilities become even more dangerous when markets cross languages in addition to cultures. Spanish offers many examples. Parker Pen once translated the phrase “It won’t stain your pocket and embarrass you” in an advertisement as “No manchará tu bolsillo, ni te embarazará.” In many Spanish cultures, embarazar is usually understood to mean “to be pregnant.” The translation read “It won’t stain your pocket and get you pregnant” for many Spanish-speakers. When exactly the right meaning for a translation is essential to your purpose, call Link Translations for a back-translation. Don’t let a lesser service te embarazará.